Outbound or external links are clickable links you have on your website and in your blog posts that link to other websites. And, it’s a good practice to use outbound links within your articles. 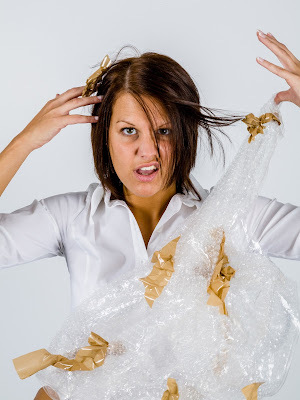 Suppose I’m writing a post for Writers on the Move and it’s on self-publishing. I find a relevant article over at Kindlepreneur that will give my readers more information on the topic or reinforce what I’m saying. 1. I can use the keyword SELF-PUBLISHING as an anchor text. The word would be hyperlinked to the outbound article. Example: Kindlepreneur has a great article on creating your own book publishing company if you’re self-publishing. 2. I can link to the article using the site’s name. Example: There’s a great article over at Kindlepreneur that says . . .
3. I can include the URL and hyperlink it. Example: There’s a great article over at Kindlepreneur (https://kindlepreneur.com/how-to-start-a-publishing-company/) that says . . .
4. I can create a MORE READING section at the end of the article and include the Kindlepreneur article title and link to it: How to Start a Book Publishing Company. Which strategy is the most SEO effective? Numbers 1 and 4 are the way to go. But if you had to choose between the two, go with #1. The reason is it offers Keyword-Power that’s highly relevant to your article. Google and the other search engines like this practice. Okay, that’s pretty easy. Use anchor text to link to outbound links whenever possible. NOTE: If you notice, I hyperlinked in Example #2. This was a mistake, but since outbound links are involved, I'm leaving it as is. Moral to the story: don't do things in haste. Suppose that in the article I’m also quoting from The Article Writing Doctor. I must give the URL to the article I’m quoting from. 1. Hyperlink a keyword within the quote, if applicable. Since I already hyperlinked to Kindlepreneur using the keyword Self-Publishing, I wouldn’t want to use that word again as a hyperlink. So, I’d use Edit Your Manuscript. 2. Tag the quote and hyperlink the article title at the end of the article in a References section. It’s good to link to HIGH-RANKING sites. It reinforces what your site is about to Google. And, if the site you’re linking to pays attention to its Pings or Trackbacks, they’ll notice you linked to them. So, you make Google happy which makes them like your site better and you get noticed by a high-ranking site. Now, let’s move on to the Don’ts. While outbound links within the body of your article can be good SEO, those links are taking the reader away from your website. So use them sparingly, especially if you manage your own site. Suppose I had that Kindlepreneur outbound link in the first paragraph of my article. The reader sees it and clicks on it. Off he goes – off of my site. It drastically shortens the visit length of that reader and if he hops off too quick, you just added to your bounce rate. Google tracks the length of time a visitor stays on your site. The longer the better. Google also tracks if the visitor is there 5 seconds or less. This is considered a bounce and it’s terrible for your website ranking. If you have a high bounce rate, Google will assume your site is very poor quality. It will assume your content isn't measuring up to your linkbait. This is not good. So, be careful using outbound links within the body of your article. And, definitely limit the number of outbound links you use. When you’re creating the outbound link, make sure it will open in a NEW WINDOW. This will keep the reader on your site while he’s reading the article at the other site. #2 Don’t use too many outbound links. Google has its hands in everything. It keeps track of your outbound links and inbound links (sites linking in to your site). If you have a lot of outbound links compared to inbound links, Google will think it’s suspicious and black-hat (unethical) behavior. It could think you’re getting paid for those outbound links. You could get penalized. At the very least, you’ll lose ranking power. If you’re article is littered with outbound links, they’re distracting to the reader. Even if they don’t click on them, they cause distraction. #4 Don’t outbound link to the same URL more than once within your article. This is considered suspicious activity. The more hyperlinks you have on your website, the more chance there is of having broken links. Google frowns upon broken links. If you manage your own website, it can become burdensome having to check on whether your links are broken. While WordPress has plugins to help with the process of checking for broken links, Blogger does NOT. This means, if you have a Blogger site and want to check for them, you’ll have to go into every post and check the links. As of the writing of this post, Writers on the Move has around 1500 blog posts. That’s a lot of checking. As mentioned, using outbound links can be a useful SEO strategy. But, you generally don’t want to overdo it. There are exceptions to this rule as when you have a resource page with links to valuable tools for your readers. Or, you have a media page with links to all that’s going on with you. Or, if you’re creating a blog post that offers links to say, The Best Writing Sites or Best Books of 2017, or other. As with all guidelines, they’re guidelines and should be thought of when creating and posting your articles. Pingbacks and trackbacks are very similar functions using different protocols/systems. Their purpose is to make a referenced site aware that it’s been referenced to by another blog/website, and allow that site to link back. Both the pingback and trackback go to the referenced website’s pending comments, awaiting approval or rejection. Not all websites have this feature. If it does, you usually need to enable it. Linkbait is content (usually titles) designed to attract attention and encourage those viewing it to click on its hyperlink to the site.The purpose is to improve the site's position on the list of results returned by a search engine. But, if it's done unethically, if the title is a tease and doesn't provide what it promises, Google won't be happy and neither will the people who click on the link. If you have any comments or questions, please put them in comments! If you'd like to learn more about building a powerful author platform, check out Build Your Author/Writer Platform. 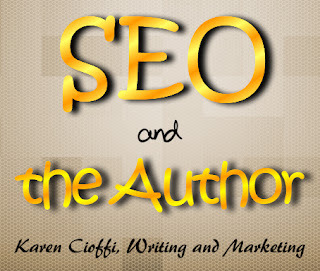 @Karen Cioffi Vevtrice, Would links to your other articles on SEO on this blog be considered link backs? I think our readers would be interested in starting at the beginning and following through with all of your articles on this topic! Carolyn, linking to other posts within Writers on the Move would be considered deep linking, not outbound linking. And, thanks for the reminder - I forgot to link to the prior articles. And, I forgot to highlight the text to be hyperlinked. Slipping! Dave, thanks so much for stopping by. Great example of how outbound links should work! Also, just want to let you know I had to edit the link to where it was supposed to be. I should have checked the post before it went live. Thanks and glad you fixed that. It's a great article! Hi Karen, thank you for a very informative and helpful article. You've explained many gray areas for me and have given me good rules of thumb to follow. Linda, I'm so glad the article is helpful. I'm trying to break down simple things authors can do to make their websites more effective.